Alessi Michael Graves Macinapepe Pepper Mill (ALPEPMIL) at Pure Design / Accessories / Decorations ::: Furniture for the Home, Office, Home Office, and More at Pure Design Online! 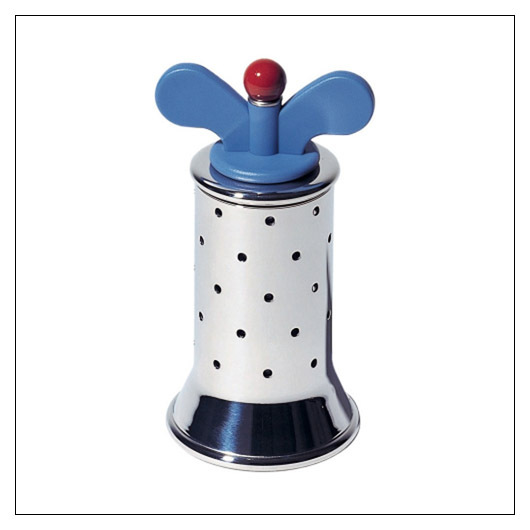 A fun piece with characteristic Michael Graves personality, the Alessi Michael Graves Pepper Mill first hit the market in 1998 and has since become a popular modern household accessory. It's made of stainless steel and features polyamide fins for providing just the right amount of cracked pepper over a salad or tomato bisque.